Seasonal Storage Struggles? Magnum Wheel Pallet Flow to the Rescue! Ok so that’s one way to do it, but we think we may have a better, more efficient way to store this delicate treat. Magnum wheel pallet flow meets both the fast turnaround and expiration sensitive challenges of storing watermelons or any other produce product. In a recent application video, you will see that Magnum wheel actually meets up to 3x’s the challenge. That’s three levels of watermelon-filled pallets being placed on Magnum wheel pallet flow rails to flow down to the pick face. The heavy pallets will meet up with drop-in speed controllers along the route to slow and control the tall weighty descent of this fragile cargo. Ramp stops at the ends of the flow lanes will help ensure that what’s in the lane… stays in the lane. 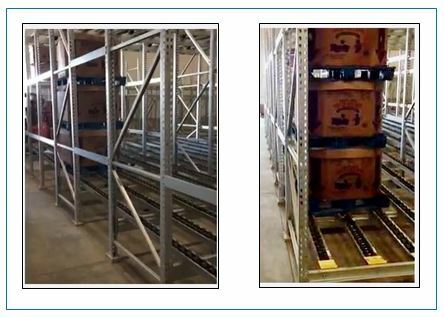 This galvanized system is designed in accordance with food safety requirements and, like Magnum wheel, is ideal for cooler/cold store environments. The 6-deep configuration helps the produce facility keep up with the high-volume demand of a product like these single SKU watermelons. 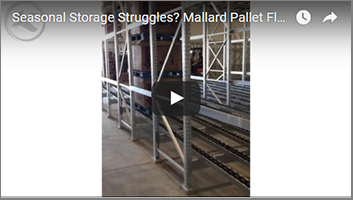 Just as the fruit is densely packed, the pallet flow lanes are a space optimizing storage solution that also supports the FIFO product rotation used for date-sensitive inventory. 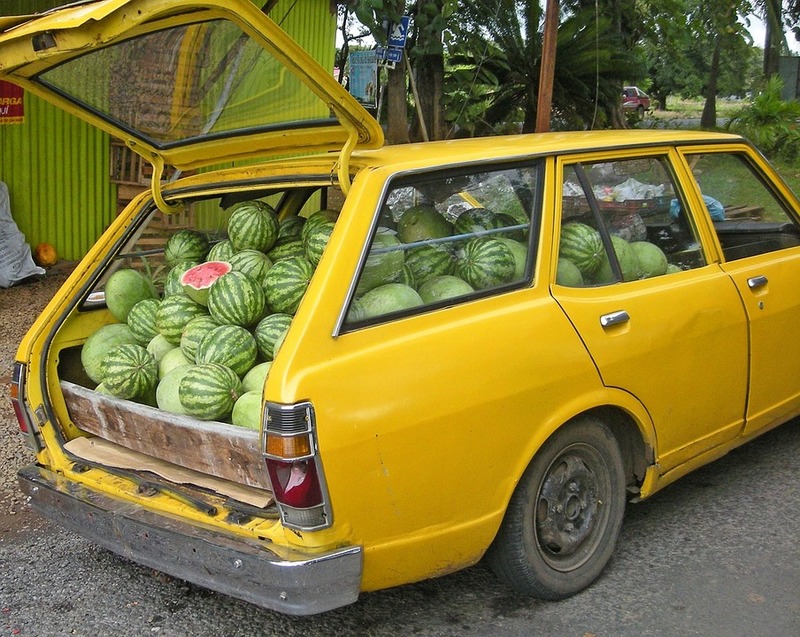 While we applaud the ingenuity it takes to devise “alternate” watermelon storage solutions (above), we really believe we are on to something here with Magnum wheel, so why don’t you give us a call to discuss your produce storage challenges? If you choose the hatch-back, we promise, no hard feelings! Would you like to learn more about Magnum Wheel? Visit our Magnum Wheel vs. Traditional Pallet Flow Wheels Comparison page… Or download our PDF.